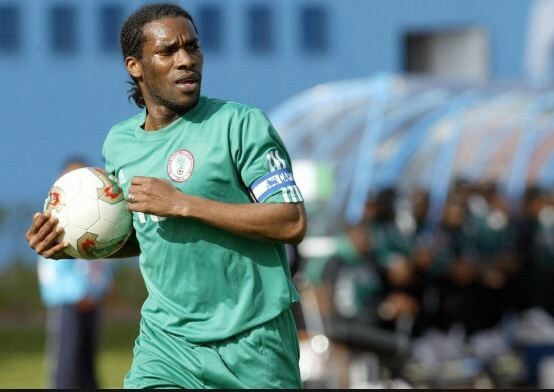 Okocha named in FIFA legends squad ahead of 2018 World Cup – Royal Times of Nigeria. Nigerian football legend and Super Eagles captain, Austin Jay-Jay Okocha, has been named in the FIFA Legends squad that will face the Russian National Team Legends in an exhibition match ahead of the 2018 World Cup tournament. The exhibition match will take place at the Football Park in Kaliningrad on Sunday, June 3, 2018. Names in the FIFA legends squad include Austin Jay-Jay Okocha, ex-goalkeeper of Switzerland, Pascal Zuberbühler, ex-England defender, Wes Brown, Brazilian legendary defender, Cafu, former Croatian midfielder, Niko Kranj?ar, and ex-Portugal striker, Nuno Gomes. While the Russia Legends will be represented by ex-players of the national team: goalkeeper Ruslan Nigmatullin, defender Dmitri Sennikov, midfielders Alexander Mostovoi, Alexei Smertin and Andrei Tikhonov, striker Alexander Panov. The Kaliningrad Stadium will host the Swiss, Croatian, English and Nigerian teams during the 2018 World Cup in Russia.